Reservations of all holiday accommodation whether made by telephone, email, in person, in writing or from the internet are accepted by Norfolk Cottages, hereinafter referred to as NC, on the following conditions. NC is one of a small group of locally focused brands owned by The Original Cottage Company Limited, which is a family owned private limited company incorporated in England (registered number 06951692) with its registered address at Bank House, Market Place, Reepham, Norwich, NR10 4JJ. VAT No. 595 2110 44. The Original Cottage Company Limited trading as NC act only as Agents for owners, and are not Principals in the matter and so the hiring contract will be between you the Hirer and the Owner of the property for which the booking is made and shall be deemed to be made subject to these Conditions of Hire. The Contract of Hire is governed by English law and jurisdiction and is not effective until NC dispatch to the Hirer written confirmation of the holiday booking. The contract is for the hire of the property for holiday purposes only. We do not accept bookings from Hirers under 18 years of age. Bookings will be reserved upon receipt by NC of the required deposit payment of one third of the total holiday cost, comprising cottage rental, booking fee and any additional charges – e.g. pets. If the booking is made within eight weeks of the holiday commencement date, the full accommodation rental will be required at the time of booking. Deposits can be paid by debit card or credit card, BACS transfer or cheque. In the case of web bookings, these can be paid online through our secure payment system. The Balance of the Hire will be due for payment eight weeks before the holiday commencement date. On receipt of the Balance Payment, advice on key collection arrangements and directions to the property will be sent to the Hirer. The Owner/NC reserves the right to cancel a holiday where full payment has not been received more than 14 days after the due date. The deposit paid on the booking is non-­returnable. Cheques should be made payable to Norfolk Cottages with Booking Reference written on the back. There is no charge for Debit or Credit Card payments. Where VAT applies to the property rental, it is included in the quoted price at the prevailing rate. NC’s Confirmation of Booking is not a VAT invoice. All NC charges and VAT inclusive rentals are subject to change if the rate changes. Once NC has issued a Confirmation of Booking, the Hirer is responsible for the total published price of the holiday let and extras as shown on the confirmation. Amendments to bookings, where applicable, will be subject to an administration fee of £50. NC reserve the right to adjust prices quoted in the brochure, on our website or on details to properties, due to errors or omissions or changes in VAT. If you are forced to cancel your holiday you must inform NC as soon as possible. The day we receive your notice to cancel is the date on which we will cancel your booking with the owner. Depending on your reason for cancellation, you may, at our sole discretion, receive a refund of all money you have paid to us for your booking less the booking fee (if applicable), any credit-card charges, and a handling charge of £60. See Cancellation/Curtailment Policy for details of circumstances where we would normally make such a refund. In all other cases, you will remain liable for full payment unless we are able to re-let all or part of the period booked, in which case NC will consider a refund, less the booking fee (if applicable), any credit-card charges, and a handling charge of £90. See Cancellation/Curtailment Policy for full details. NC charges a booking fee of £36 for your first booking in any calendar year, payable at the time of booking. Additional bookings with the same customer reference where the cottage hire period starts in the same calendar year (1st January to 31st December) will not attract a booking fee. Many of our cottages will accept pets and these are clearly marked in the brochure or on the website property page. More details are given in the property description. Bookings that include pets are taken on the understanding that all flea and worming treatments are up to date. Please remember that they should not be left unattended in properties and that some homeowners insist on pets remaining downstairs and off furniture at all times. You, as pet owner, will be responsible for removing any evidence left by your pet and reimbursing the owner for any damage caused. Please show consideration for guests visiting after you have gone home and bear in mind that some popular beaches do not permit dogs during the summer months. For most properties a charge of £25 per pet per week or short break will be made. Customers with allergies should be aware that we cannot guarantee that an assistance dog has not stayed in a chosen property recently (even one that doesn’t allow pets as standard) or that the property owner does not have a dog or cat that sometimes occupies the property. We cannot accept responsibility for any suffering which may occur as a result of such animals having been present. Further, although all of our properties are cleaned between lets and regularly ‘deep cleaned’, we cannot guarantee that properties will be completely free from pet hair. The use of accommodation and amenities, where offered, such as swimming pools, hot tubs, rowing boats, beach huts etc, is entirely at the users’ risk and no responsibility can be accepted for injury, or loss or damage to users’ or visitors’ belongings. However, NC do not seek to exclude or limit legal liability for the negligence of their servants or agents. Further, the Owner/NC will not be liable to you, any member of your party or person visiting the property during the period of your hire of it for happenings outside its reasonable control, such as breakdown of domestic appliances, plumbing, wiring, temporary invasion of pests, building works at adjacent properties, damage resulting from exceptional weather conditions or other unforeseeable circumstance. You also accept that NC in acting as agent for the owner will not be liable for any negligence on the part of the Owner resulting in loss, injury or accident. In no circumstances may more than the maximum numbers of persons, as stated in the brochure/website, occupy a property. The Owner/NC reserve the right to refuse admittance if this condition is not observed. No refunds will be given if admittance has been refused for this reason. Further, where properties specify a minimum age limit for customers, in no circumstances may any persons under the specified age limit, as stated in the brochure/website, occupy a property. The Owner/NC reserve the right to refuse admittance if this condition is not observed. No refunds will be given if admittance has been refused for this reason. The person who completes the booking, i.e. the lead name, certifies that he or she is authorised to agree to the Booking Conditions on behalf of all members of the party, including any changes. The lead name must be over 18 years and a member of the party occupying the property. The lead name agrees to take responsibility for all members of the party. The Owner/NC reserve the right to refuse or revoke any bookings from parties that may in their opinion (and at their sole discretion) be unsuitable for the property concerned. For the whole of the period included within your booking, you will be responsible for the property and will be expected to take all reasonable care of it. The property and all equipment and utensils must be left clean and tidy at the end of the hire period. If a property is not left clean and tidy, any additional cleaning costs will be charged to the hirer. Should there be any specific health or mobility difficulties which may affect a party member; this must be pointed out at the initial reservation stage so that the suitability of the property can be assessed. The property must be vacated by 10.00 am on the day of departure, along with any parking provision. All damages and breakages are the legal responsibility of the Hirer and should be reported immediately and before the end of the holiday. The reasonable costs of miscellaneous repairs to and/or replacement of and/or additional cleaning of furnishings, kitchen equipment, crockery, glass, keys, bedding and towels damaged or soiled otherwise than by usual wear and tear during the period of Hire by you or other members of your party shall be payable on demand to the NC who may also, at their discretion, refuse further bookings. Any Accidental Damage/Security Deposits charged will be cashed on receipt to allow for bank clearance and reimbursed promptly after the holiday (less any deductions which may be incurred). The Owner/NC has the right to enter the property (without prior notice if this is not practical or possible) if special circumstances or emergencies arise (for example if repairs need to be carried out). The Owner/NC reserves the right to repossess the Holiday Home at any time where you or any member of your party has caused damage, and in such circumstances the Owner/NCshall not be liable to make a refund of any remaining portion of the hire terms paid. It is a requirement when booking certain specified properties with NC to pay either a Accidental Damage Deposit or a Accidental Damage Deposit Waiver. 14.1 The Accidental Damage Deposit is due with the balance of your holiday, it will be cashed on receipt and held by NC to be applied against the reasonable costs of miscellaneous repairs to and/or replacement of and/or additional cleaning of furnishings, kitchen equipment, crockery, glass, keys, bedding and towels damaged or soiled otherwise than by usual wear and tear during the period of Hire by you or other members of your party. The balance of the Accidental Damage Deposit will be returned to you within 28 working days of the departure date. Where such costs exceed the Accidental Damage Deposit you will pay such excess to the Owner within 14 days of being notified. 14.2 Where you have agreed to pay the Accidental Damage Deposit Waiver the Accidental Damage Deposit is not payable. The Accidental Damage Deposit Waiver is a non-refundable payment by you to NC in lieu of the Accidental Damage Deposit. The Accidental Damage Deposit Waiver covers the costs of making good any loss or damage to the property and/or its contents caused through act or omission during the period of Hire by you or other members of your party up to the value of the Accidental Damage Deposit for the booked property. Where any such damage caused exceeds this amount, you agree to pay to NC, acting on behalf of the Owner, upon written demand, any reasonable costs incurred in making good any such loss or damage above the predetermined amount. The Accidental Damage Deposit Waiver is not available on breaks longer than 14 nights. The Owner/NC take every care to ensure the accuracy of the property descriptions. All information in this brochure and on the NC website is given in good faith and is believed to be correct at the time of going to press, but the Owner/NC cannot be held responsible for changes beyond their control, which may become known after publication of this literature. In addition, whilst properties may be described as non-smoking or no pets, this cannot be guaranteed. Please be aware that if a property is advertised as having an enclosed garden, this does not necessarily mean a secure garden. It may be enclosed by hedging or open style fencing. The Owner/NC’s description of a cottage shows what amenities that property has but generally does not state what is not in the self-catering property. The Hiring Contract is made on the understanding that the holiday home and its facilities as published will be available for the dates stated. In the unlikely event that a property is not available through events arising outside the control of the Owner/NC then the Owner/NC may be forced to cancel the booking and you will be advised as early as possible. Where possible, you will be offered suitable alternative accommodation, which, if not acceptable, will entitle you to a refund of all monies due. You will not as a result have any further claims against NC or the owner. Please note that reservation requests taken via our website are not confirmed bookings until we have contacted you and accepted a deposit. If you choose to holiday in an older property, remember that much of its character and charm is due to its age. Some of our properties are well over 100 years old and were built long before the days of damp proof courses and cavity walls so some may show signs of damp, particularly in long spells of wet weather. The owner/NC do their best to ensure that the background heating is kept on sufficiently to compensate, even when the property is empty. Condensation can be alleviated by opening windows and allowing the air to circulate. If you have any concerns, please talk to us at the time of making your reservation. Also, please remember that should traditional property features (steep stairs or low beams, for example) be a problem for any member of your party, you must consider and mention this prior to booking. Please remember that properties in the country do attract spiders and therefore cobwebs. It does not mean that the cottage is dirty or has not been cleaned as cobwebs can be spun almost as quickly as they have been cleaned away! Some of our properties, particularly in remote areas, may have a private water supply from a spring or well water, which is regularly tested. In rural areas please be tolerant of the sounds and scents that you may encounter, they are all a part of the countryside experience! If the Hirer wishes to make a complaint about anything connected with its hire of the property it should contact NC as soon as reasonably possible prior to departure. In the event the Hirer does not have phone reception at the location where they are staying, the Hirer must make reasonable efforts to make a call from a nearby public telephone, send us an email or visit our office. NC will then either pass the complaint on to the Owner of the property to deal with or it may consider the complaint and take action to resolve this itself as soon as reasonably practicable. Please note, as per clause 1 above, the contract of hire is between the Hirer and the Owner of the property and whilst NC may act on a goodwill basis as arbiters between the Hirer and the Owner to resolve any dispute it cannot be held liable if one or both parties are dissatisfied with the outcome. In no circumstances can compensation be made for any complaints that are made after the hire has ended, or where the Hirer has denied NC or the Owners of the property the opportunity to address the issue during the Hirer’s stay. Neither NC or the Owners of the property accept responsibility for work taking place outside the boundary of the property, or for noise or nuisance resulting from third party activity over which NC or the Owners of the property have no control. We guarantee you always get the lowest price when you book your holiday property directly through us. 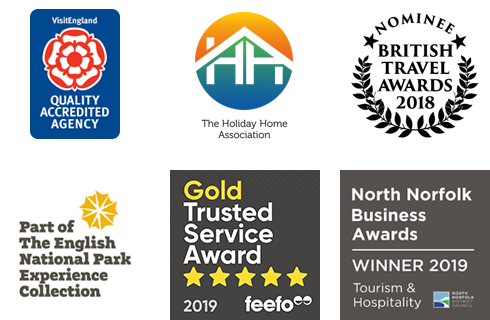 To qualify for our Best Price Guarantee, you must find the same property, for the same party size, over the same date period and notify us within 24 hours of your booking, in writing by post or email. The lower price must be viewable by anyone prior to booking and bookable by anyone, i.e. not a negotiated rate, a member rate, an offer applicable to only part of your stay or an offer which requires a credit card number or code to see. This offer does not apply to any optional extras, service charges or other fees and excludes changes in currency conversion rates. We will then validate your claim within 48 hours. The same property must be available for booking at a qualifying lower price in the same currency when we validate your claim. If your claim is successful, we will notify you in writing by post or email and refund the difference or adjust your outstanding balance. Only one claim may be submitted per booking. NC reserves the right to deny claims if we believe that the Best Price Guarantee is being intentionally abused or manipulated to circumvent its intent. A claim may be invalidated if you make any changes to the reservation after the claim has been submitted and approved. At all times your data will be held securely and protected in line with NC’s obligations under UK data protection legislation. Your party names and contact details will only be shared with the Owner in order to allow the Owner to manage your holiday and give you the best possible experience. If you request that we pass on supplementary information that you wish to provide to the Owner, for any reason, then we will do so. NC will securely hold that information on your behalf as part of your booking record unless you ask us to delete it. Any such information is provided at your sole request and discretion, and NC bears no responsibility for its accuracy or contents. In the event of any dispute between parties it shall be referred to the jurisdiction of the English courts only and any actions shall be heard in the court for the area in which the property is situated. Any contract between the parties shall be governed by English law and jurisdiction. Any disputes arising between you and the Owner/NC, if not mutually resolved, shall be referred to a single arbitrator agreed, or in the default of such agreement, to the President for the time being of the Law Society or Institute of Arbitrators. In either case, such arbitration would be subject to the provisions of the Arbitration Act of 1996 or any statutory modification thereof for the time being in force. All parties will contribute equally to the cost of Arbitration. These Booking Conditions supersede any previous issues.